There is a risk of nuclear leak as there is a report of damage occuring in the coolant section of a nuclear reactor. Japan has declared nuclear emergency and has shut down its nuclear and oil refineries to prevent any further damage. Thought there is no report of leakage of nuclear radiation till now. 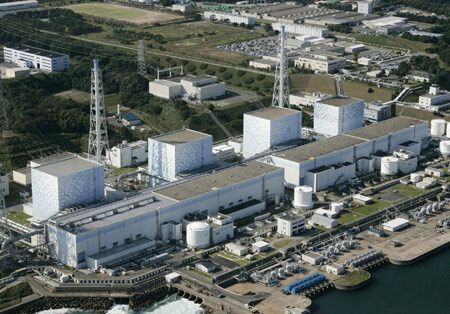 Latest reports says Japan has shutdown five nuclear reactors at two power plants after the units lost cooling ability due to the consequences of the earthquake. Meanwhile reports are coming that US is providing nuclear reactor coolant to Japan. Onagawa Nuclear Power Plant, Fukushima I, Fukushima II and Tōkai nuclear power stations were automatically shut down following the earthquake. Higashidōri, also on the northeast coast, was already shut down for a periodic inspection. The Rokkasho nuclear reprocessing plant, also on the coast, was being powered by emergency diesel generators. Separately, a fire broke out at the Onagawa plant. The blaze was in a building housing the turbine, which is sited separately from the plant’s reactor. Update: An explosion has blown the roof off an Fukushima Nuclear Plant, an unstable nuclear reactor north of Tokyo on Saturday, Japanese media said, it has raised fears of a disastrous meltdown at a nuclear plant damaged in the massive earthquake that hit Japan. NHK television and Jiji said the outer structure of the building that houses the reactor appeared to have blown off, which could suggest the containment building had already been breached. This was the casing/container we were talking about which could have saved any leakage of radiation, but now it has been blown. Shutting down of nuclear power plants and oil refineries and many other industries have caused a huge loss in one single day.